While seasonal allergies are more commonly heard about in the spring, just as many people experience symptoms during the autumn months as well. In addition to sneezing and congestion, eye allergies can significantly impair one's ability to go about one's normal functions. Symptoms of eye allergies include tearing, itching, swelling and burning. Often vision becomes blurry or eyes become sensitive to light. These effects can be so debilitating for those suffering that they prohibit an individual's ability to perform in work, school, sports and leisure activities. When an individual with allergies is exposed to a substance he or she is sensitive to, the immune system sends out histamines to defend against the ''intruder''. This reaction by the oversensitive immune system results in typical allergic symptoms which include general symptoms as well as those related to the eyes. If you wear contacts, symptoms can often be exacerbated because lenses can often attract allergens. In addition, we tend to rub itchy eyes, which can cause even more irritation for those wearing contacts. Use of artificial tears can sometimes reduce discomfort but many lens wearers decide to switch to glasses. If you wear contacts and experience ocular allergies, it could help you to try a different brand of contacts, particularly if you aren't using daily disposables which minimize the likelihood of pollen collection. If you are experiencing problems from your contacts, visit our Salmon Arm optometrist to talk to a professional about your condition. Use big sunglasses to help block the pollen from entering your eyes. Wash carpets and curtains frequently to get rid of pollen that has entered the house. Rather than sweeping, use a damp mop to clean floors, which is more effective at cleaning away allergens. While over the counter medications and eye drops can sometimes help relieve symptoms, a prescription medication may be more effective. In this case, schedule a visit to your eye care professional as soon as possible to discuss your options and begin proper treatment. 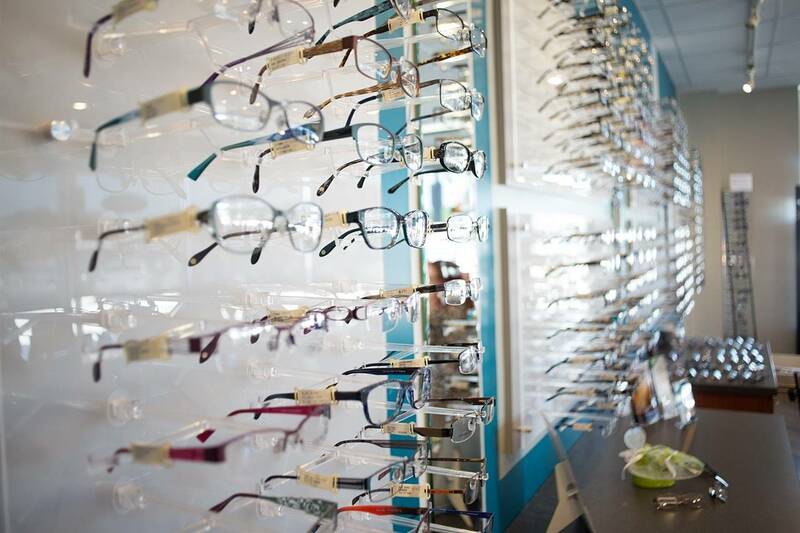 Our Salmon Arm, BC eye care office is here to help your eyes feel their best despite allergy season!